POLY-CASTER™ for Sale in Dickson City, PA | F & S SUPPLY INC. Improve efficiency and profitability with the FISHER® POLY-CASTER™ hopper spreader with updated de-icing technology. 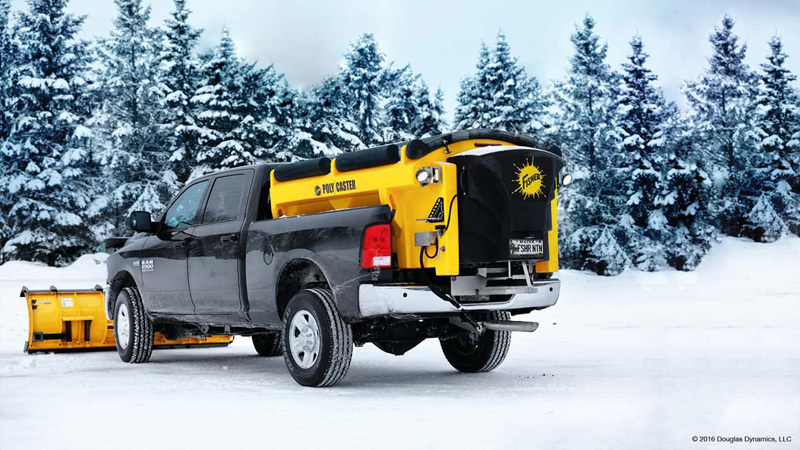 Enhanced controls, a convenient accessory hub and the FLEET FLEX electrical system help you spread deicing materials such as rock salt, calcium chloride and sand with precise control without having to get out of the cab. This one-piece poly hopper construction is low maintenance and corrosion-resistant making it perfect for commercial or municipal ice control in Dickson City. It is mountable in ¾ and 1 ton pickup trucks, dump bodies or flatbed trucks over 15,000 lb GVWR.